If you’re an ATGATT type of guy, then you know how much nicer it is to ride with gear that works with you, and not against you. That especially includes your helmet. There’s nothing worse than speeding off into the sunrise on a motorcycle…only to stop on the side of the road minutes later to fasten your helmet. All because you can’t buckle up the D-Rings with gloves on while riding. Thankfully, there’s a fix for that. 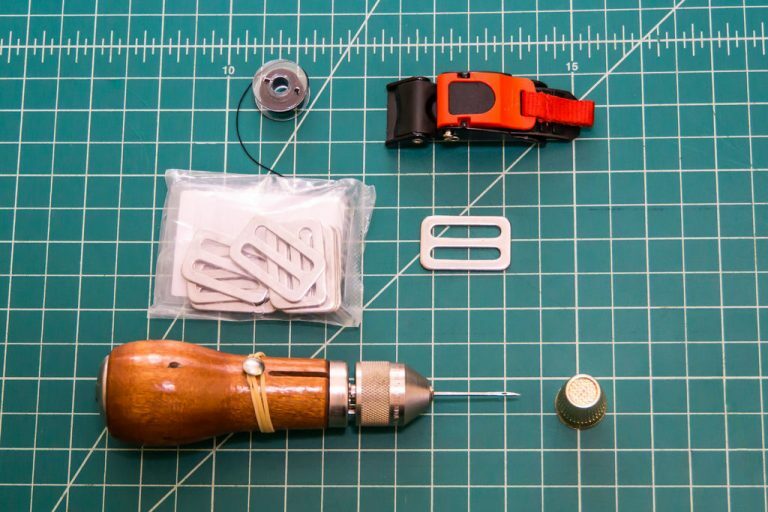 Here’s how to add a helmet quick-release buckle to any helmet. What about non-sewing quick-release helmet buckles? Can I sew this by hand? Addendum – What about safety? Once I got used to a micrometric ratchet as a helmet quick-release buckle, there was no going back. It’s unconditionally superior regarding convenience and comfort. Not only can you release your helmet buckle one-handed, but it also makes flapping webbing a thing of the past. To boot, it can even be more reliable than D-Rings in some cases. Another benefit is that since it’s micrometric, it can ratchet into multiple positions like zip ties. As opposed to seatbelt-style helmet buckles that only have one position. 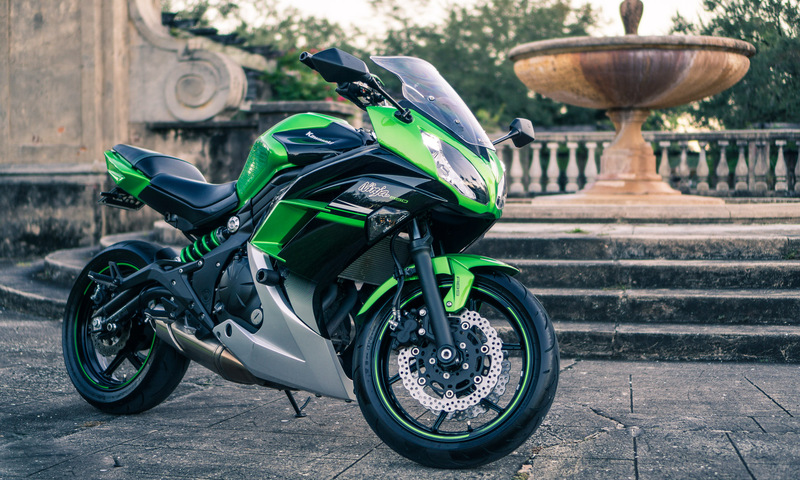 The ability to adjust it exactly how you want for every ride is certainly an improvement. Not to mention it’s way quicker and easier to fasten than D-rings, too. I can quickly fasten it while I walk in to a store, carrying the helmet by the buckled strap as a handle. In comparison, it makes fastening D-rings on a helmet you’re not wearing while walking feel like a gymkhana. The Europeans have already seen the light on this feature. Many/most mainstream Euro helmets have a ratcheting helmet buckle. Like with our unit system, it seems us Americans are lagging behind on this one, too. But no worries, there’s a fix for that. In this tutorial we’re going to go over the best way to add a ratcheting quick release to a D-Ring equipped helmet. Let’s Begin. This is your standard “D-Ring” helmet buckle…as comes stock on most helmets for the american market like this Scorpion EXO-GT920 Modular Helmet. Here’s the HJC Rpha Max Evo Helmet’s original buckle. As you can see, it comes from the factory with a micrometric buckle. Though most Americans seem to still be skeptical, a helmet quick-release buckle is definitely the more convenient option. And contrary to popular belief, it isn’t less safe. And this is the same Scorpion helmet after the helmet quick-release buckle upgrade. This helmet quick-release buckle how-to involves some simple sewing. 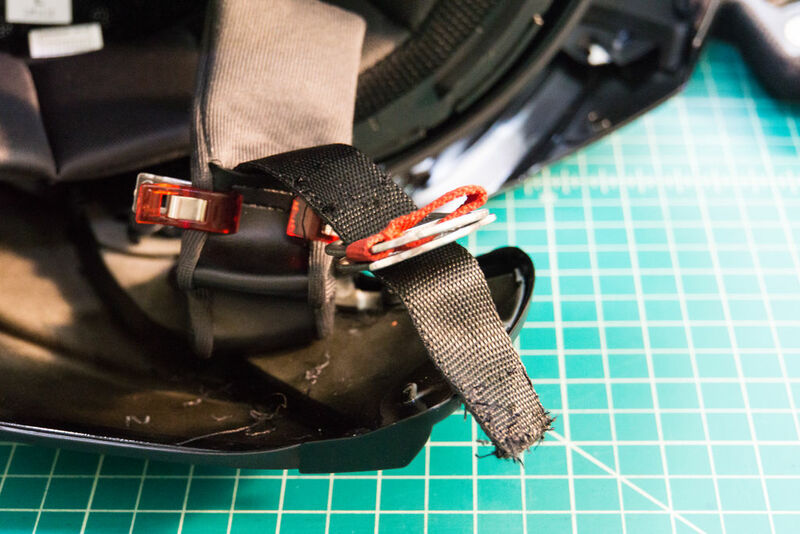 If you really, really, really don’t want to sew anything, then try the Echo Helmet Quick Release. After spending months with it (before deciding to install a buckle the right way), my opinion is that it isn’t a bad product. It’s more convenient than D-rings, but it isn’t a great option either. 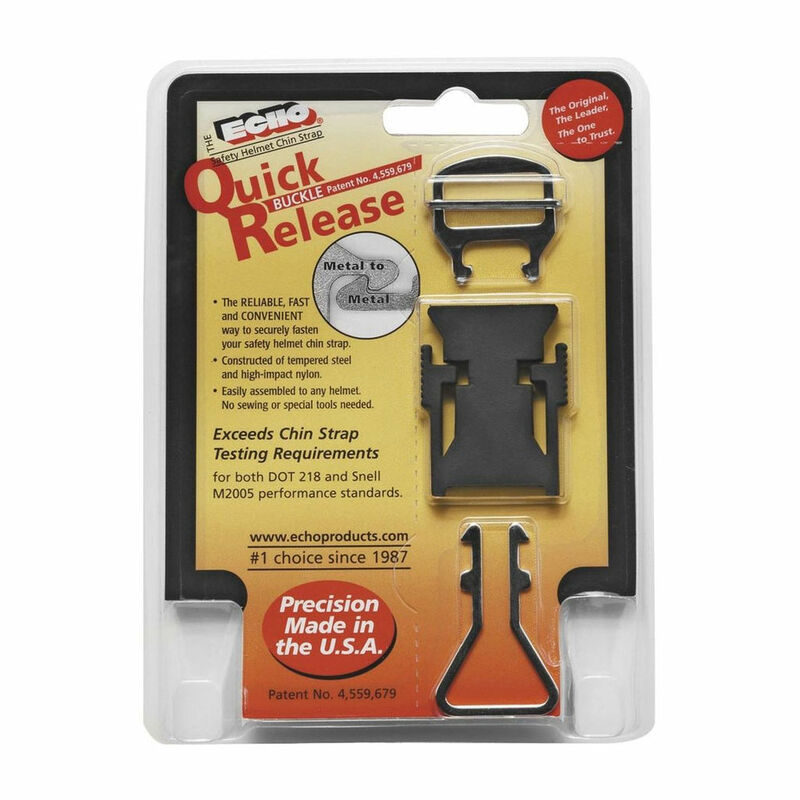 The truth is that none of the “no-sew” quick release buckles are perfect. And most other buckles are pretty bad. But I can understand someone choosing it if they want to save the hassle of installing a buckle themselves. Another option is simply buying a helmet that comes with a quick-release from the factory. I don’t know which other models on the american market come with one. But one option is buying the HJC Rpha Max Evo Helmet. The “Evo” model is simply the European version of the “normal” Rpha Max helmet. Both are very positively reviewed helmets. I own the Dorgon Evo as my main riding helmet. It looks awesome, not to mention it is one of the most quiet, lightweight modular helmets around. All without paying Schuberth prices. And I’m certainly satisfied with it. But for most people who already own a well-loved helmet with a few scratches, installing a helmet quick-release buckle is the way to go. Though it may seem like a PITA, getting it over with once and for all is the best option. You’ll certainly appreciate it on the rides to come. Here are the things I used for this helmet quick-release buckle upgrade. Thankfully, all of the components are cheap and easy to get. The following list is mainly so you can make sure you have everything available before starting the project. Items within parenthesis mean useful, but not crucial. Hopefully you even have a few of these things already. If not, don’t worry. This project is cheap. 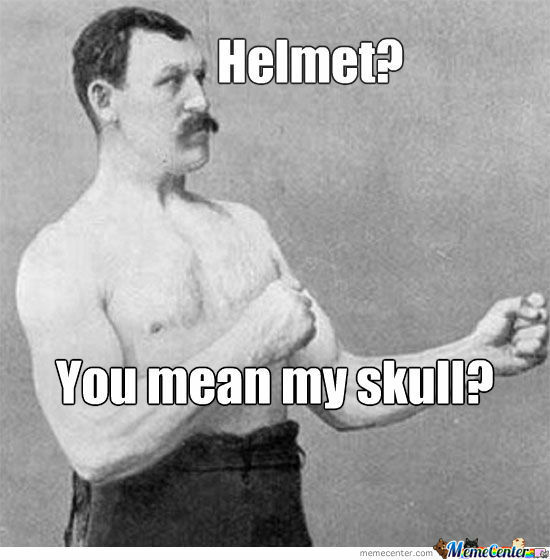 Helmet – You already have a helmet, right? Micrometric Quick Release Ratchet – Don’t let the bad reviews dissuade you on any of these helmet quick-release buckle options. The vast majority are from people who bought them unaware that sewing is required to attach them. To see more listings, click here for an Amazon search. In general, most seem to be of similar quality. Though there might be differences in aesthetic quality between batches or vendors. If you’re not satisfied with the quality, just return it and buy the same item from another vendor. There are also other models and styles. However, I prefer the versions which have a toothed strap over the “seat-belt type”. Mainly because it gives you a lot more adjustability mid-ride. It’s also easier to fasten and release with gloves. To check Ebay for cheaper options, albeit with longer overseas shipping, click here. 1″ Triglides Sliders – While you can simply sew the toothed-side in place, it will take you a lot longer. And if you do so, the adjustment will be limited to the length of the toothed section alone. If you add a triglide, you’ll save yourself half the sewing and be able to infinitely adjust the buckle length in the future. You’ll want a sturdy (non-fashion) tridlide, however. And preferably stainless steel or powder coated. For rust resistance. The best choice is something like the unit above since it’s made for scuba gear. As such you can count on it being strong, well finished, and rust-proof. Speedy Stitcher – To quickly sew through the thick webbing. 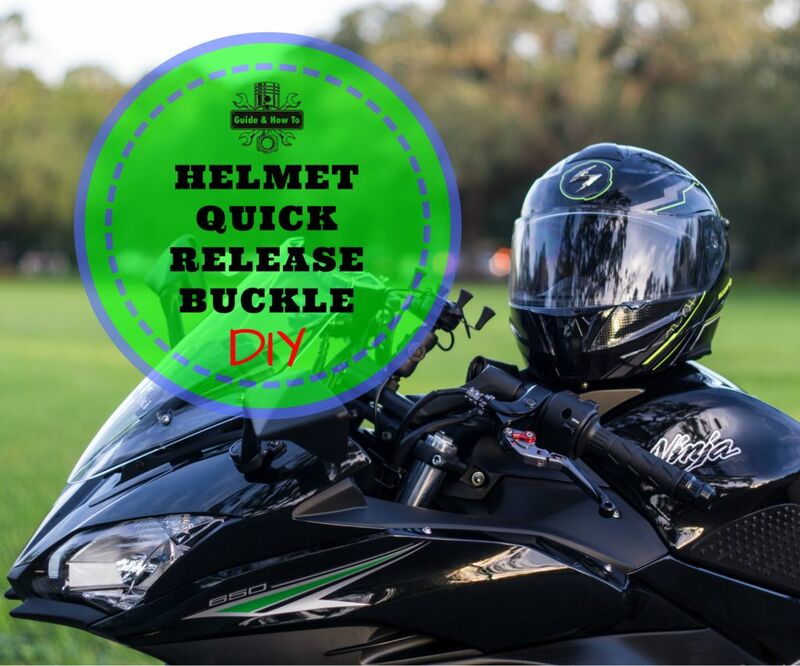 Without a doubt it’s the best way to do the helmet quick-release buckle upgrade. And much quicker than using a thimble and pliers. Seam ripper – To remove the existing stitches. You can also use a hobby knife, though it’s a lot riskier regarding damaging the webbing. And that’s something Ctrl+Z can’t fix. Hot Knife – While you can also use a hobby knife and a lighter, a powerful hot knife does a better job of cutting and sealing the ends. The webbing used in helmet straps is tubular, so heat-sealing the end is necessary. The Dremel Versatip I used did a great job. Don’t bother with the smaller Hot Knifes though – I tried it and it was underpowered for the job. Thread Scissors – Or any other precision scissors, for trimming loose threads. Speedy Stitcher #4 Small Needle or Denim Needles – To sew through the thick webbing with multiple rows of stitches, you’ll need a strong needle. The easy choice, when using a Speedy Stitcher, is the #4 small needle. But one of the best (unadvertised) things of the Speedy Stitcher is that it accepts normal sewing machine needles. In other words, you can also use “Jeans” needles or any other sturdy machine needles you already have. T90 Upholstery Thread – While it is probably still overkill, I’d use T70 or T90 bonded upholstery thread for this project. In my opinion, it is probably the best choice strength-wise for a helmet quick-release buckle upgrade. To be honest, this is the first time I’ve ever used a Speedy Stitcher to add a helmet quick-release buckle. All the times prior I’ve simply sewn by hand using a thimble and some pliers. Mostly the pliers. If you don’t have a Speedy Stitcher, you can do it by hand. However given that they are relatively inexpensive and extremely useful, there’s little reason not to have one in your sewing kit. I use mine all the time when sewing thick materials, which few domestic sewing machines can power through. Or simply when I don’t feel like bringing out and setting up my sewing machine. It’s just really useful to have. Rather than just a sewing tool, it’s more of a utility tool. It’s claim to fame is from sewing sail boat sails. Also of note is that given how the Speedy Stitcher sews – more akin to a sewing machines lock stitch – the stitches will be more aesthetically pleasing. Not to mention much quicker, and less likely to break or damage the thread mid-project. It will give a better result. Let it also be said that this DIY can’t be done with a sewing machine. There simply isn’t enough space to work with the strap still attached to the helmet. Remove the cheek pads and consider your options. On this model the foam cheek pieces were easily removable…so I easily removed it. So that’s how the webbing attaches to the shell! I’ve always been curious. Let’s start this helmet quick-release buckle upgrade project. First, simply remove the cheek pads on your helmet and plan what you’re going to do. I’m doing this on a Scorpion EXO-GT920 Modular Helmet. An excellent helmet for the price, let it be said. On this model, the foam ear pieces are removable. I just had to tug forward on it after removing a single screw. That’s why I pulled them out to give myself more space to work with. Consider how much strap length you want, where you’ll be tucking in the spare webbing, if you can remove the strap padding without unstitching anything, etc. While I’ll be doing this to a modular helmet, obviously this can be done just as easily to a full face helmet. Or just about any style helmet for that matter. Thankfully the modular helmet makes taking pictures of the project much easier. Also, now would probably be a good time to remove the visor. It’ll help avoid it getting in the way or scratched in the process. Try to undo the stitching without damaging the pad. I guess a bit obvious, huh? Peel back the strap pad to reveal the original stitching pattern of the D-Ring buckle. We will try to imitate it. Regrettably, on this model the strap pads isn’t removable. By that I mean the padding next to the chin strap. On some (many?) helmets you can remove it via velcro or a snap. But that wasn’t the case here. Carefully undo the stitching with a seam ripper without damaging the pads or the strap. Now it’s time to undo the stitching for the D-Ring Buckle. Pretty Straightforward. Remove the snap or cut the webbing to be able to slide on the triglide as well as one half of the buckle. On virtually all helmets with D-Rings, there is a snap on the longer side (the one that gets threaded through the D-Ring). It’s there so you can snap it in place to keep it from flapping in the wind. Which is another one of D-Ring’s quirks. To slip on the triglide, we’re going to need to remove it. You can either remove the snap or cut the strap just past the snap. I did the former. Just cus’. Simply test fitting the helmet quick-release buckle without sewing, everything looks great. This beefed up scuba belt triglide sure isn’t going to fail. At least not before my neck does. Now would be a good time to just test fit everything. Check to see if you like how things are going. I ended up using T90 Bonded Nylon Upholstery Thread. I imagine much less would have sufficed. I like slipping on some rubber bands to tension the thread and keep it from feeding as easily. Pull back plenty of spare thread before starting. About slightly less than an arm’s length. Unless you’re extra careful, the reverse side will look a bit uglier. Though it isn’t that bad and will be hidden anyway. Here’s the finished product. It will certainly put up with at least as much load as the original stitching. 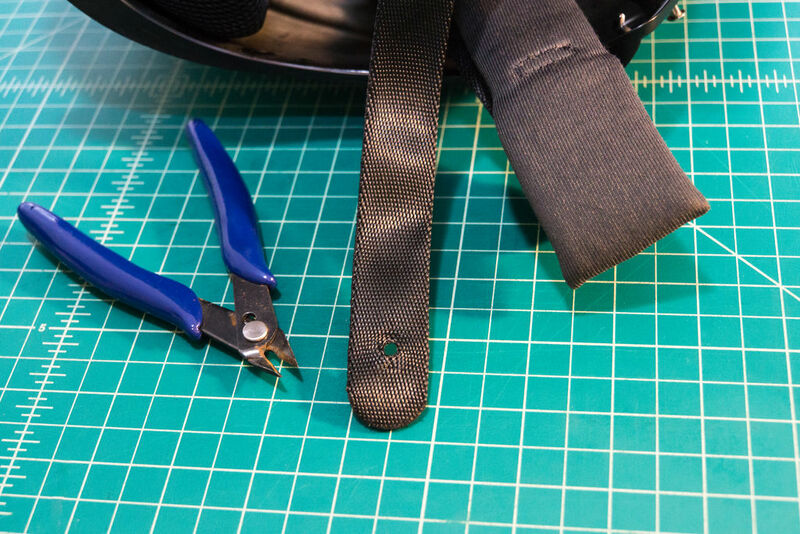 Now the moment of truth – sewing in the helmet quick-release buckle. First you’ll want to set up the Speedy Stitcher. I like loading it with those cheap little transparent sewing machine bobbins. They’re plentiful and that way I don’t have to waste so much thread on the larger original reel. You can double-up with an extra bobbin in the back to take up the spare space. I also like putting a couple of rubber bands on the body to keep the thread from jumping over the pin. It also applies extra tension on the thread, so it doesn’t feed as easily. If it still pulls out too easily, wrap the thread around the post multiple times. I used a Speedy Stitcher #4 Small Needle because I had one on hand. But if not I would have happily used Denim Needles for machine sewing. Extra points if you apply some machine oil to the needle so it powers through the webbing easier. I won’t get into how to use a Speedy Stitcher – there’s plenty of good information on that out there already. But regardless it’s pretty straightforward. Just pull some thread through the material, and keep creating lock stitches by threading that thread through the loop created by the tool. Through it’s easier said then done in the beginning. If you haven’t ever used the tool before I’d recommend you practice first. If you make the mistake of threading the thread through the front instead of the back even once, then you’ll have to backtrack quite a bit. But once you get a hang of it, it has no equal for sewing thick materials. Gone are the days of sewing with a hand needle and pliers! Plus, its stitch is a lot more aesthetically pleasing. That besides gentler on the thread when sewing long sections. Regarding the stitch itself, just imitate a crossed box stitch like the one that was removed earlier. 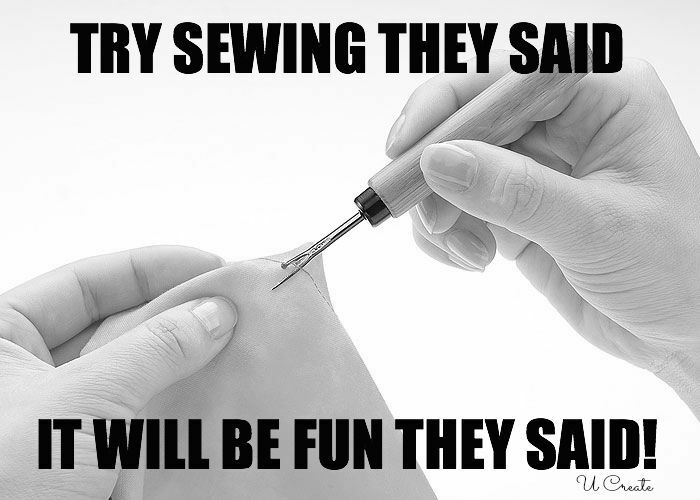 In my case, I sewed pretty much over the exact same spot where the original sewing was. I used some binding clips to hold back the strap pad. I’ve really come to like those clips whenever I do any sewing. They’re quick and easy to use, and unlike pins don’t damage the work material. This Dremel Versatip is perfectly suitable for this task. Unlike the 25w wood burner that I tried prior to it. That wasn’t powerful enough to quickly melt the webbing. Measure once, cut twice. Or something like that. Use a lighter and some flush cutters to trim off any sharp edges made of melted plastic. You’ll want to cut off the excess strap from the toothed side. To do so, ideally you’ll want a heavy-duty hot knife. I cut the strap perpendicularly at the snap’s previous location to be able to use that rounded part as a template. Then I marked with some chalk where I wanted the strap to end. I cut there. Next, I followed the tab to make a similar curve, though a 1″ metal coin would have probably been better. Finally, I used some flush cutters and a lighter to smooth out any rough bits. Note: The webbing used for helmet straps is tubular, meaning that it’s actually a tube pressed flat. You’ll have to properly melt and seal the end to avoid it from opening in the future. It’s easy to do, just don’t get lazy about it. And this is the finished product – A more Euro-style Micrometric Ratcheting Quick Release Buckle. There’s the finished helmet quick-release buckle. You can’t even tell it’s not original. And if we ever want to adjust the strap’s length, you can use either the micrometric strap or the slider. Given how beefy the slider on this helmet is, I trust it fully. This already good helmet is even better after the helmet quick-release buckle upgrade. Well that’s it! Hopefully it didn’t take you too long! Enjoy the helmet quick-release buckle and stay safe. Now that the helmet upgrade is done, make sure no one steals it. I’ve got a great helmet anti-theft tether cable project for that. Are helmet D-ring buckles safer than quick release buckles?